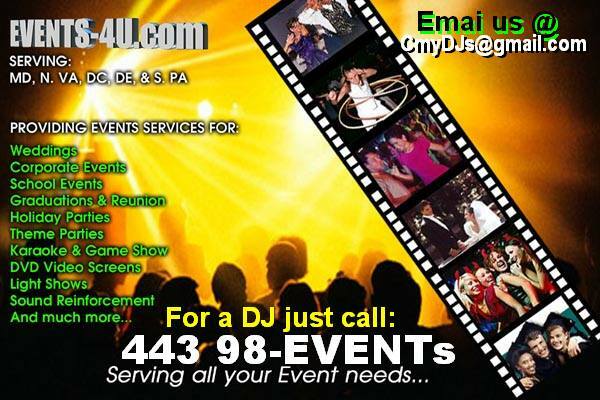 EVENTS-4U is your full service Event Entertainment DJ company providing Services for Weddings, Parties, Schools, Corporate events and other types of Affairs. Serving MD, DC, VA, DE, NY, PA. Mid Atlantic Area and beyond.